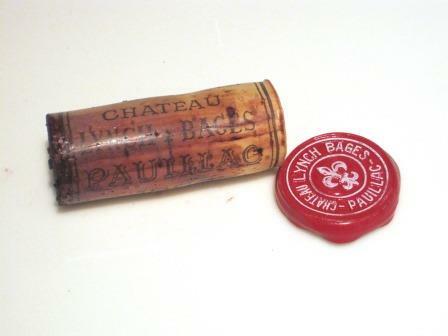 1989 Bordeaux is a very useful vintage allowing us to look backwards and to the future at the same time. On the twentieth anniversary of the vintage, it’s the perfect time to look at the vintage and review the quality and character of the wines.1989 Bordeaux will be remembered for many things. The fall of the Berlin wall, the massacre in Tiananmen Square, the snow that fell in the Sahara desert for the first time. Then, too, “Batman” was the highest grossing film of the year, Phil Collins scored the year’s most popular song with “Another Day in Paradise” and Bordeaux wine experienced one of the best vintages of the century! 1989 Bordeaux remains a unique Bordeaux wine vintage. It is one of the earliest harvests in history. You need to go back to 1893 to find a year where the picking of merlot and cabernet commenced in August. The vintage got off to an auspicious start with a wet spring. But things changed in May when everything heated up perfectly. The weather was so hot that, up until that date, only 1947 recorded hotter temperatures. And there was a lot of wine, too. It was a large harvest. 1989 Bordeaux produced several stellar wines, but with the notable exception of Chateau Haut Brion, it is a year where the top Bordeaux wine was not made by the First Growths. 1989 also marked a return to greatness with several now very sought after wines. For example, Chateau Angelus, Chateau Montrose, Chateau Pichon Baron, Tertre Roteboeuf, and Chateau Troplong Mondot all produced their best wine in decades. 20 years later, many of the best wines are mature and offer compelling tasting experiences. Only a few wines demand additional cellaring. If you are interested in reading detailed weather reports on the growing season and the harvest, Bordeaux Year to Year Detailed Vintage and Harvest Reports Guide 1900 to Today. 2009 Bordeaux has many owners and wine makers comparing it with 1989 Bordeaux saying, weather patterns were in many ways quite similar. 1989 Bordeaux was the first in a series of years that was picked riper and showed an increase in alcohol levels, according to several comments from chateau owners. The big difference between 1989 and 2009 is, today everyone knows much more about their terroir and has a better understanding of wine making techniques. Even more important, today chateau are employing much stricter selection in the cellars and the vineyards. Today, much more new oak is being employed as well. With the exception of the First Growths, many top Chateau did not use any new oak in 1989 Bordeaux. The following 1989 Bordeaux wines were not tasted blind. The majority of the bottles were tasted in June, 2009, in Bordeaux at the respective chateaux from bottles that were never moved. The rest of the bottles, purchased on release, came from my cold cellar. Other bottles of 89 La Conseillante did not show as well. Some seem to have reached maturity at a faster pace and have lost some of their decadent charm. If you have more than a few in your cellar, it’s a good time to pop a bottle and check in on it. 89 Chateau Tertre Roteboeuf has shown a lot of bottle variation. A bottle opened in Los Angeles showed a lot of tart, over the hills qualities, while a bottle tasted in DC was even better than the one tasted for this note. This particular bottle was tasted at the Chateau in June. The best bottles offer a great tasting experience, but I’ve had other bottles that were similar to the one opened in Los Angeles.